There is no doubt that Galaxy Grand Prime was a wonderful smartphone and it is quite popular when it comes to unleash superb performance. For those looking towards optimal performance, the Grand Prime is still a great choice as it is known to run smoothly when default apps and processes are started. Moreover, it can also be used to test new custom ROMs such as Lineage OS 15. This specific ROM will provide you the opportunity of testing the Android 8.0 Oreo OS right from your own Samsung Galaxy Grand Prime. The Lineage OS 15 for Galaxy Grand Prime is capable enough for regular use. In most of the cases, everything is found to run smoothly but since the system is still under development stage you might face minor issues that aren’t too much bothersome. However, the primary concept is that you can feasibly run the Android 8.0 Oreo software on a daily basis. 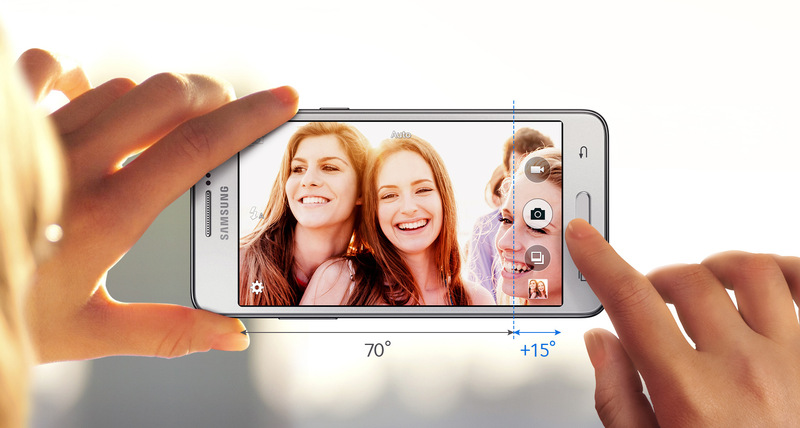 And the most significant part of this is that you can unleash the true performance of your Galaxy Grand Prime. By relying on Lineage OS 15, you can do a lot of things such as improved battery life, you will be able to customize, optimize and personalize the Android core system and apply further tweaks such as overclocking or undervolting CPU frequencies. Before you go for updating your device, it is strongly recommended to charge your device to full to avoid any midway blues. Also, on your Samsung Galaxy Grand Prime you need to enable the USB Debugging option – navigate to menu – > settings – > developer options. To enable Developer options, you will need to access About Phone and tap on Built Number – tap repeatedly on that field until you get the ‘you are a developer’ message. Open your PC and turn on an Internet connection. Then, move towards this page and download the Lineage OS 15 package. Next, go here and download compatible Google Apps – it must be flashed separately because it’s not included in the update system. Turn off your Samsung branded device – press the Power button and choose ‘power off’ or press and hold the Power key for a few moments. Afterwards, go to recovery mode from where complete a full wipe by choosing: “wipe data factory reset” followed by “wipe cache partition” and by “wipe dalvik cache”. Reboot to Android mode after applying the wipe. Use the USB cable and connect your Galaxy Grand Prime with your computer. From desktop copy-paste the downloaded files and place them on your smartphone. The computer is no longer useful so remove the USB cable. Reboot recovery mode again and this time tap on Install. Choose the Android 8.0 Oreo firmware file and follow on-screen prompts for resuming the update operation. Repeat the same step and install the Google Apps package. Finally, you just have to restart your Prime and that’s all.